There is no such thing as an FBAR attorney, or an FBAR lawyer. FBAR is shorthand for a Foreign Bank Account Report which must be filed with the IRS on Form TDF 90-22.1. With all of the recent publicity by the IRS surrounding FBARs, and the terrible civil and criminal penalties associated with the failure to file an FBAR some people are looking for an FBAR attorney. There is no such designation. If you have FBAR problems you should find a tax attorney who has tax litigation experience, as well as criminal tax skills to help you navigate the muddy waters of whether to make a voluntary disclosure to the IRS. 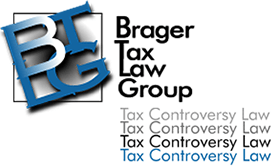 You will also want a tax attorney who has previously been involved in FBAR issues so that he or she can advise you about the practical aspects of making a voluntary disclosure. For example, a noisy voluntary disclosure will virtually preclude any criminal tax fraud prosecution; likewise it will mean that the IRS is extremely unlikely to prosecute the failure to file the FBARs as a crime. On the other hand it guarantees that the IRS will review your case, and make a determination as to whether you are liable for FBAR penalties. For most people the most important factor is to remove the specter of going to jail for failure to file the FBARs, and so they will opt for the noisy voluntary disclosure. Some individuals believe that their chances of being criminally prosecuted for tax fraud, or the non-filing of an FBAR is small, and therefore do not want to make a noisy voluntary disclosure. Those people may wish to file a quiet voluntary disclosure. This greatly reduces the chances of a criminal prosecution for tax fraud, or failure to file an FBAR, but does not eliminate the possibility. Indeed, the IRS continues to threaten prosecution of individuals who file quiet voluntary disclosures; although many tax litigation attorneys believe this to be an idle threat. Even if the IRS doesn’t bring a criminal prosecution it has stated it is looking for those individuals who have filed quiet voluntary disclosures. It would be safe to assume that persons who do not make noisy voluntary disclosures, but are found by the IRS are likely to be treated more harshly. Still other individuals believe that they are better off if they start filing FBARs for the current year, and don’t go back, and fix the old FBAR problems. While that may be an option for some people it is the most dangerous option. Anyone who doesn’t at least file a quiet voluntary disclosure has no protection from a possible criminal tax prosecution. While the IRS doesn’t have the resources to prosecute everyone who violates the tax laws that’s not much comfort if you do get caught in the cross hairs. Like with most things in life reward varies in direct proportion to risk. The riskiest option is to file neither a quiet nor a noisy voluntary disclosure. If luck is with you, and you don’t get caught then there are no penalties, no extra taxes, and very little in the way of legal fees. On the other hand, if you do get audited the risks include jail time, deportation, and ruinous FBAR penalties. In order to make an intelligent choice those with unreported offshore accounts need to have a complete analysis of their options by a qualified tax litigation attorney with FBAR know-how.